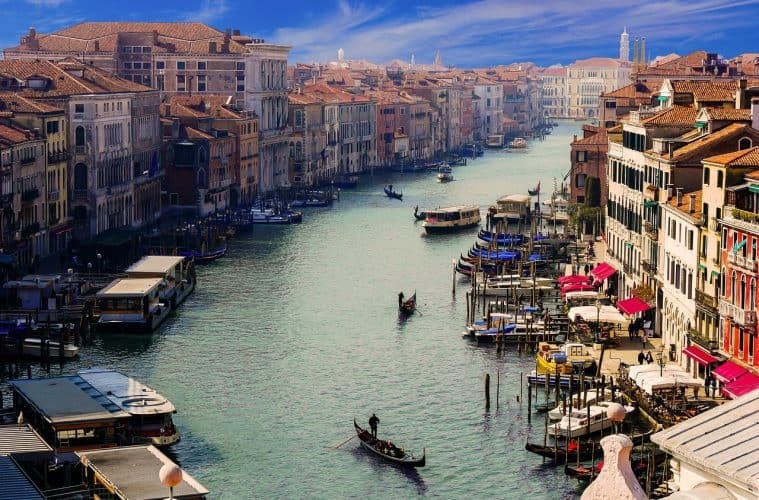 Venice is one of the world’s most famous and visited tourist locations. This makes Venice many things, but cheap isn’t one of them, which is bad news for backpackers who usually travel on a budget. 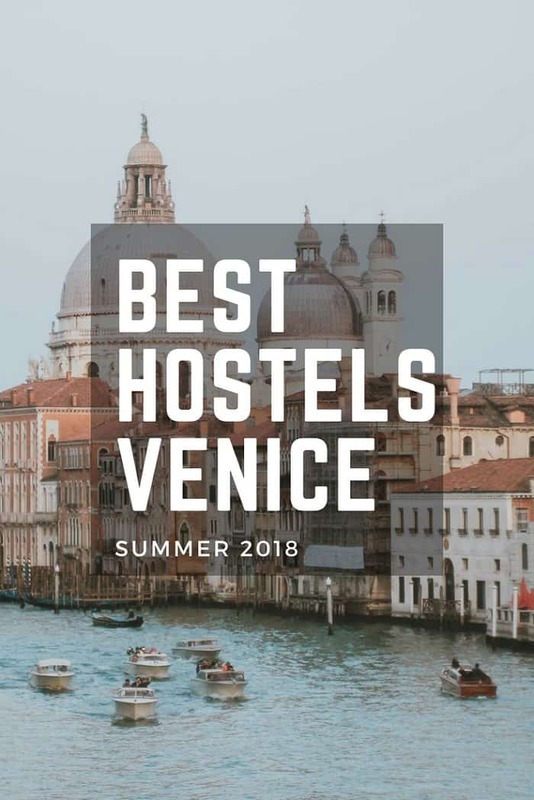 Luckily, one can always rely on hostels for affordable, decent accommodation and if you want to know more about this, check out my list of the best hotels for backpackers in Venice. 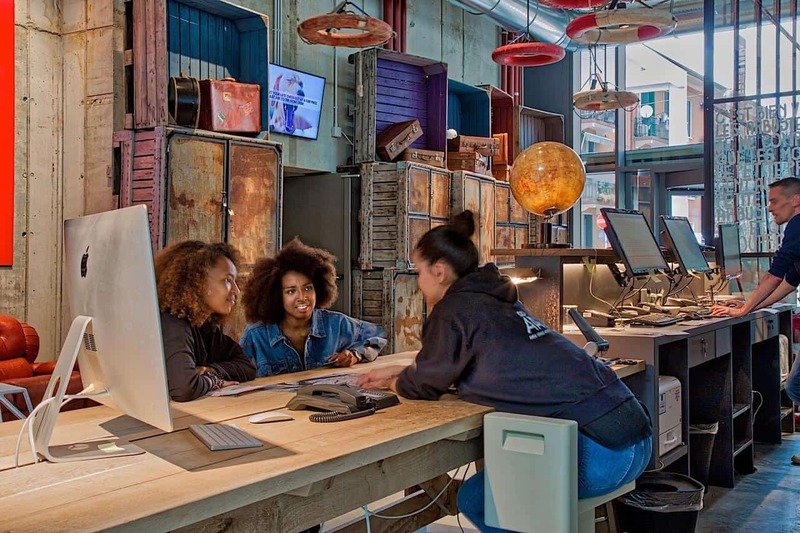 A modern, hip and fantastic hostel in Venice’s Giudecca district is one of the most popular establishments of this kind in the city. Here, you’ll be able to enjoy stunning views and stylish interior design at a starting price of 25 euros. 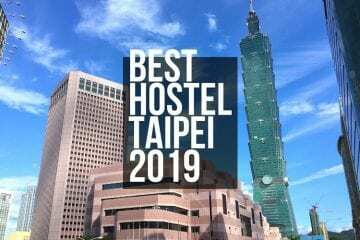 The hostel includes a lounge area as well as a beautiful bar which is usually packed with friendly visitors such as yourself ready to share a drink and a story. 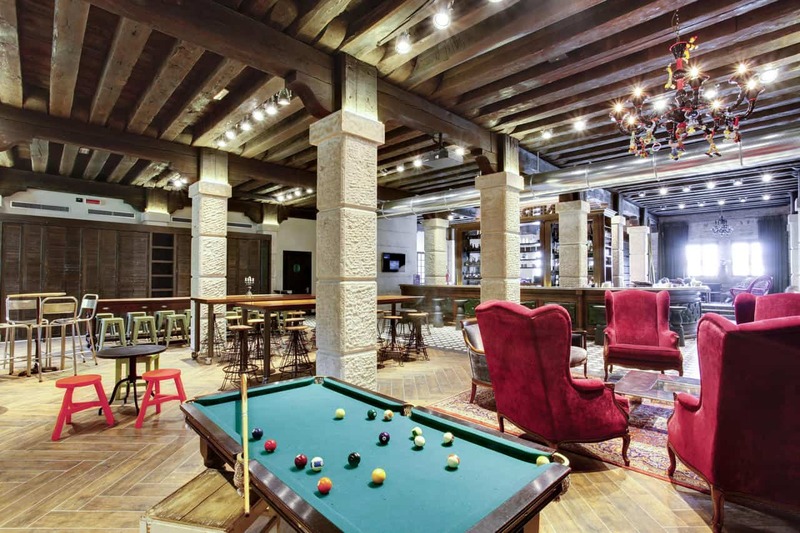 It’s a perfect place for unwinding after a long day on the streets of Venice. 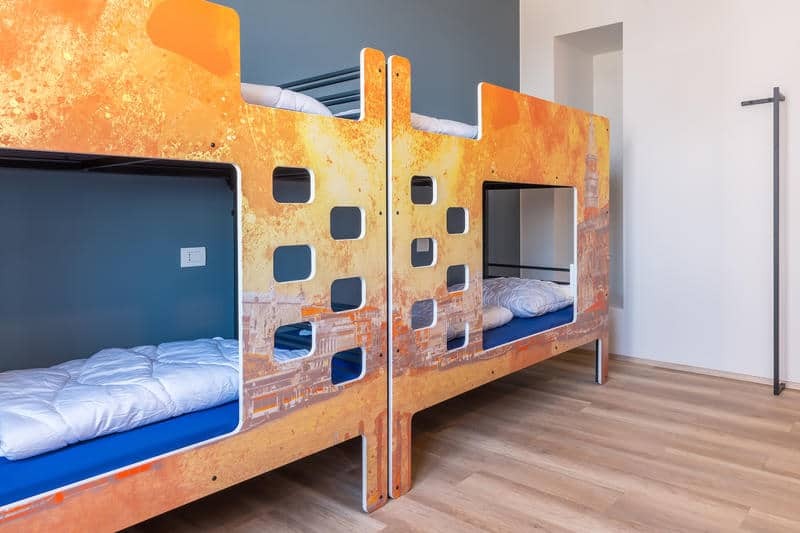 Bunk beds are equipped with LED lights for some late-night reading, and private rooms are also available but for a bit higher price. Generator is a good choice for enthusiastic young travelers! 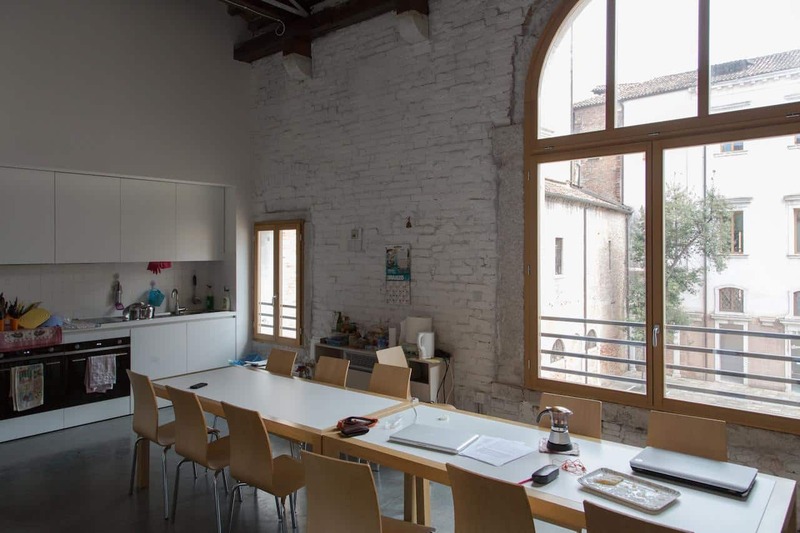 In the Cannaregio district, nearby the city center lies Ostello S. Fosca, a wonderful hostel adapted from an old building. 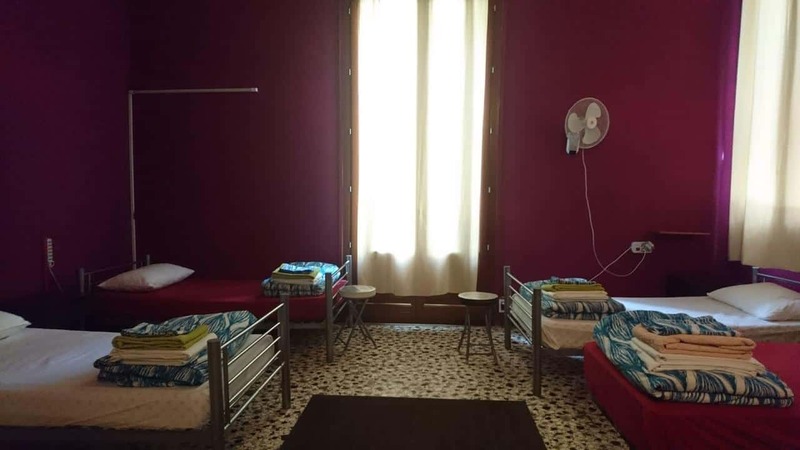 The hostel’s location is a 10-15 minute walk from some of the main sights of the city such as S. Marco’s square and Rialto bridge. Also, the Piazzale Roma bus terminal and S. Lucia train station are just as close. A bed in Ostello S. Fosca costs from 30 euros per night and upwards. The rooms are pretty, cleaned every day, and free wi-fi is available. You can also enjoy the hostel’s beautiful garden nestled between historical buildings. A kitchen is also available so that you can prepare your own food/coffee/tea whenever you wish. Set in a renovated ancient monastery, the We_Crociferi hostel is unlike anything you’ve ever stayed in befoe. 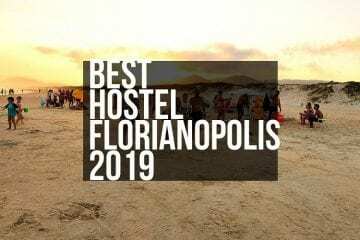 It is located in the city’s core, within a non-touristy neighborhood, and a bed here can be found for as cheap as 25 euros. The interior is the complete opposite of the building’s exterior – it is modern, functional and comfortable. There is a lounge area, a bar, and a 24/7 reception. 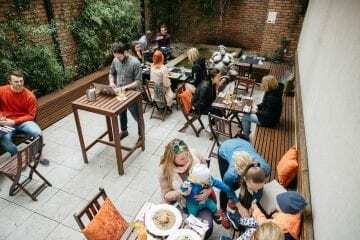 The spacious yard is a phenomenal spot to hang out while enjoying a few drinks from the bar. Wi-fi and amenities are provided, as well as a self-catering facilities. The staff is very friendly and ready to help you out with any kind of question or request that you might have. 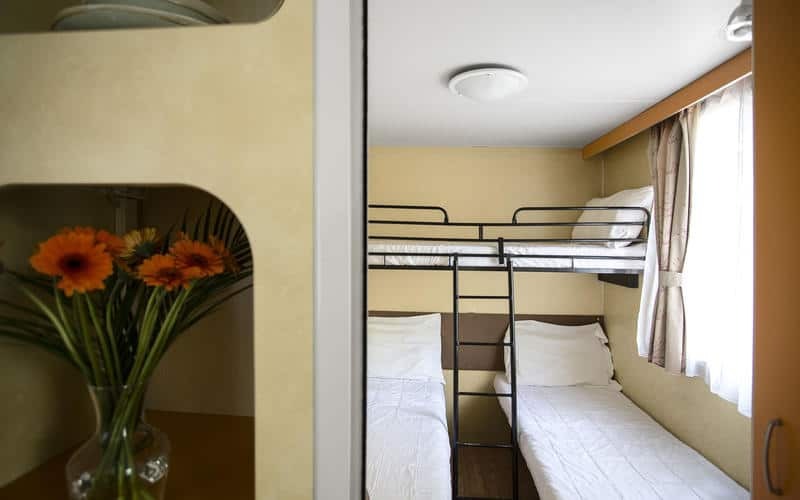 Located about 25 minutes away from the city center (by public transportation), the Plus Jolly camp is an ideal solution for a young traveler, with dorm prices starting at 21 euros per night. 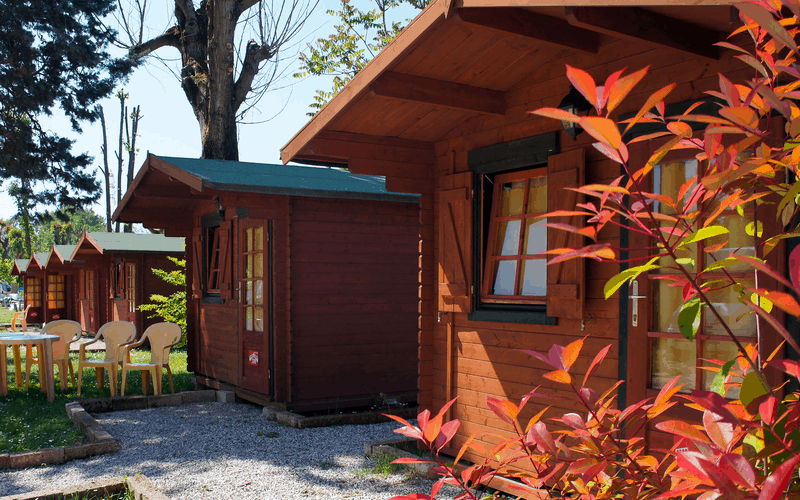 Here, you’ll find bungalows, dorms, and private rooms so you can choose the accommodation that you prefer. Also, the complex includes a swimming pool, supermarket, and a bar/restaurant, so you’ll have everything you need in one place.One other convenient service of Jolly is the shuttle bus which runs to and from the airport (from June to September), and to and from the city center, so you won’t even have to bother with public transport. 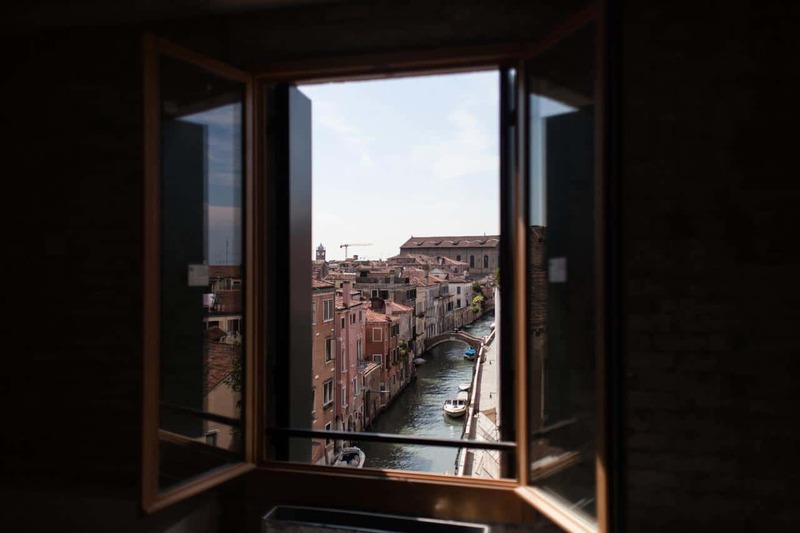 Anda Venice hostel is located in the Mestre district, around 10 km from the Marco Polo airport and about 8 km from Venice city center. 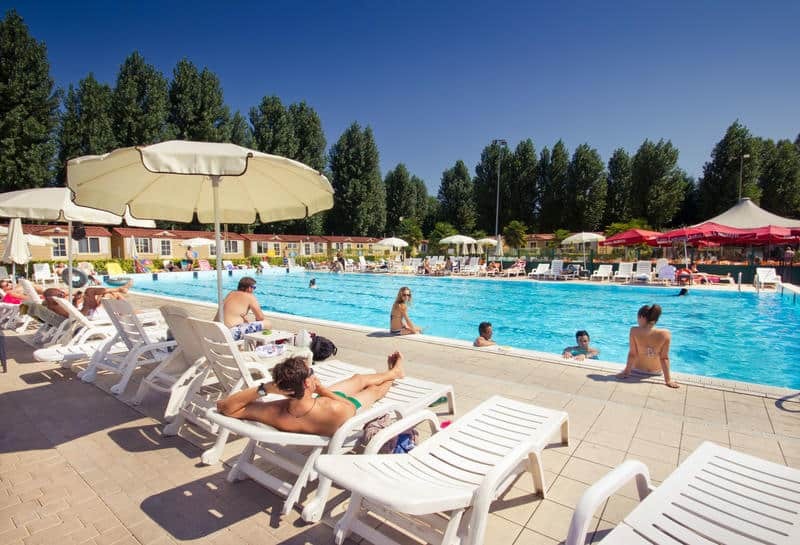 It is especially popular with the younger crowd for its great location and low price (beds start at 17 euros). 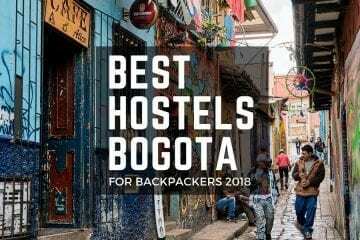 The hostel also offers a continental breakfast on site as well as a neat bar perfect for a morning coffee or a refreshing drink when you get back in from a long day of sightseeing and exploration. Wi-fi and AC are included in every room and you can even bring your pet along if you like. Smoking is not allowed inside the building, and there is no parking either. 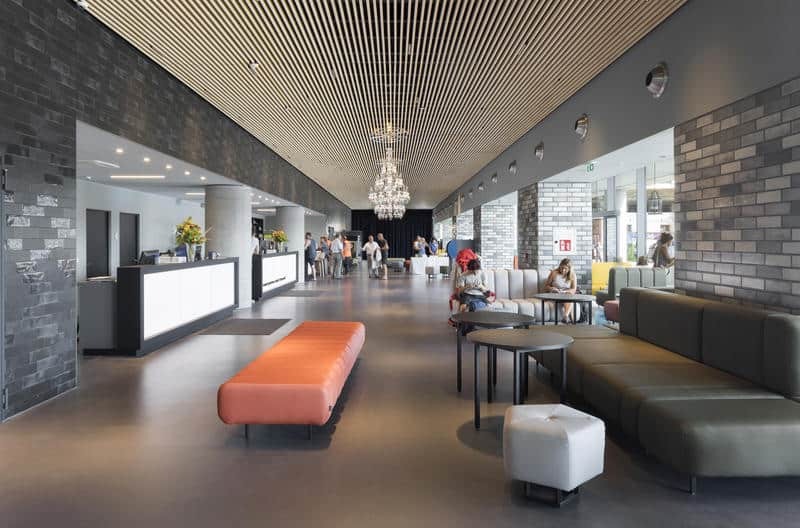 Venice Mestre is the first hotel/hostel from the A&O branch opened in Venice. 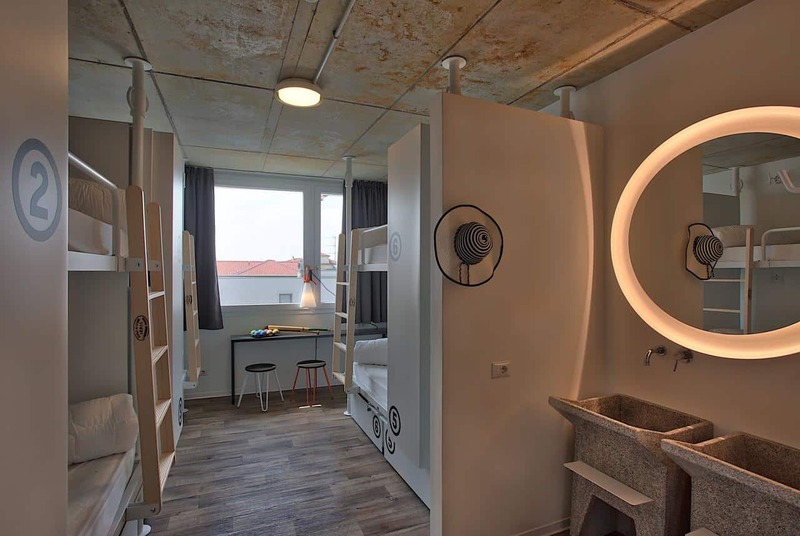 They offer both private and dorm rooms, and the starting price for the latter is around 17 euros. To get to the hostel, it takes about 7 minutes on foot from the Venice Mestre station, which makes this a very convenient location. 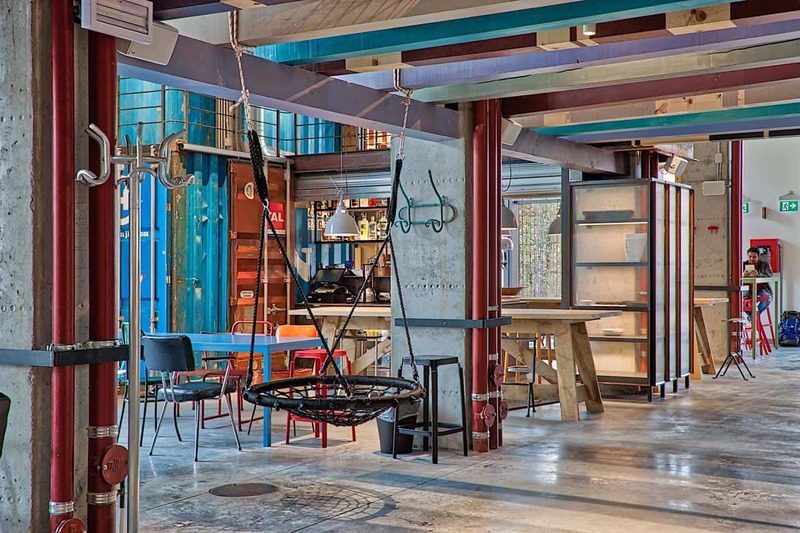 When you step inside the building do not be fooled by its luxurious look – yes, this IS your hostel! It offers a buffet breakfast in case you want to eat before hitting the city, or you can also pack a meal and bring it with you. Around the Venice Mestre, you will be able to find an Inter Spar supermarket as well as plenty of eateries. 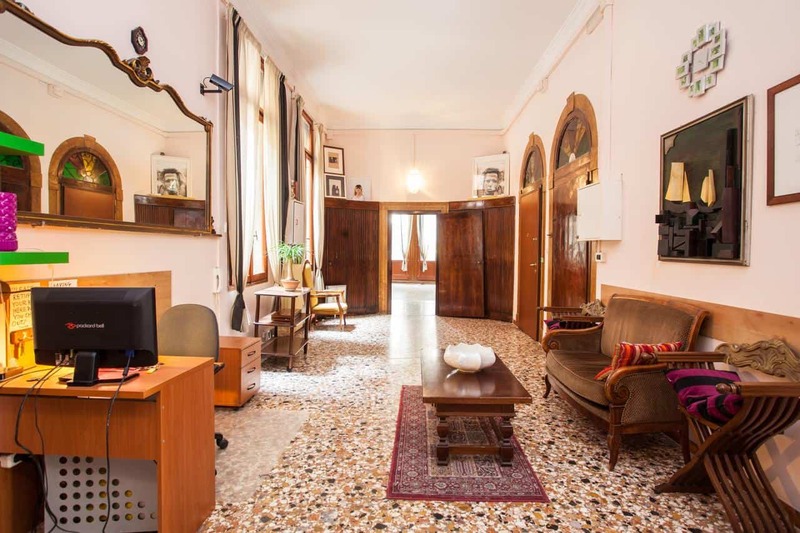 Those who wish to stay in the very center of Venice should know that it doesn’t get any more central than Youth Venice San Marco, as it is situated only 300 meters from San Marco’s square. However, this location does come at a price, and a bed in this hostel costs around 40 euros. The hostel is set in a charming old building and the rooms are equipped very simply, and each one has a shower. San Marco is pet-friendly, has free wi-fi, and smoking is allowed only in designated areas. You can check in anywhere from 1PM to 11PM. 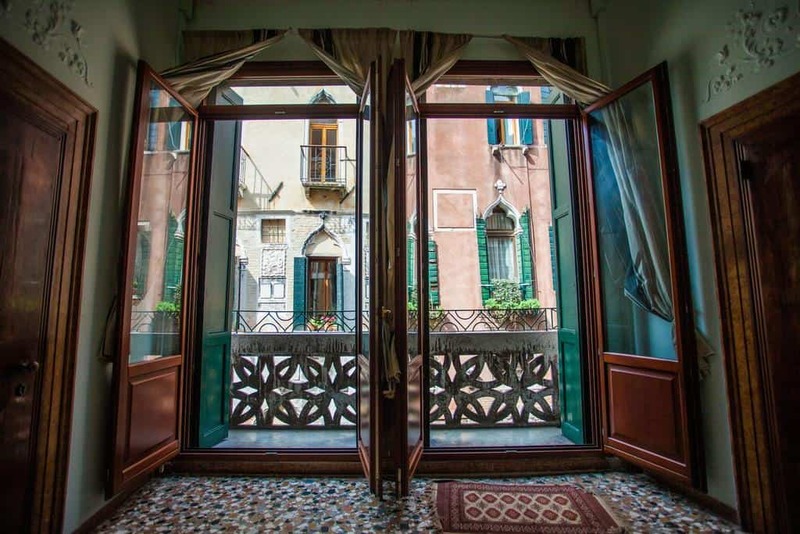 If you’re interested in exploring museums and everything that Venice’s old town has to offer, this hostel is a perfect match for you. 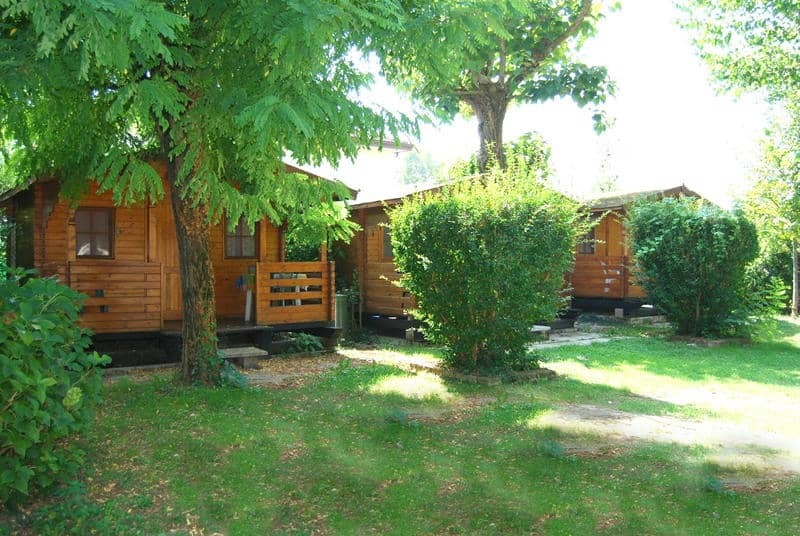 Camping Serenissima is the second camping site on today’s list, and for a good reason. 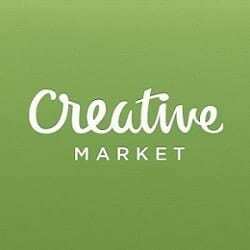 It is affordable and provides fantastic service. 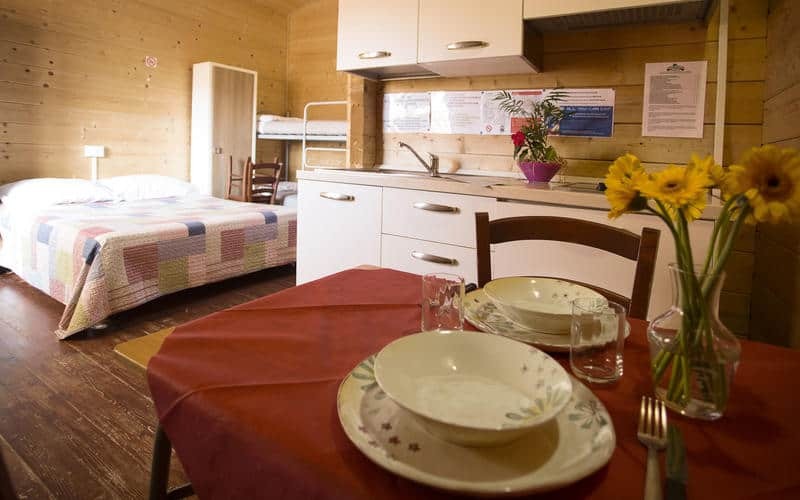 Dorms room prices start at 17 euros, but you can also find a private room if you prefer. 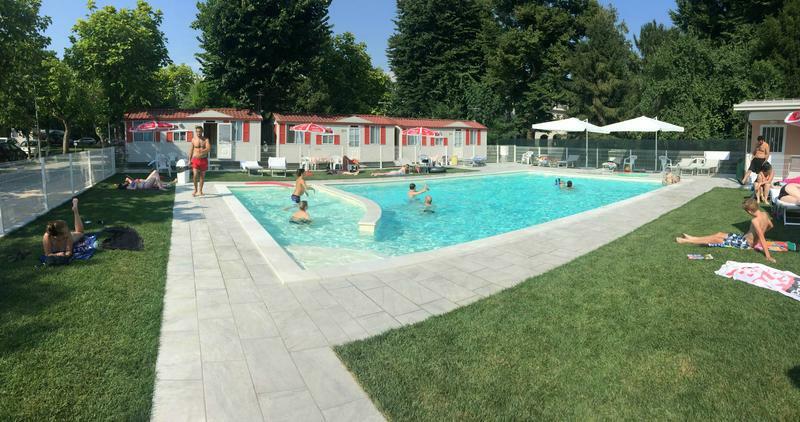 Located in the Ca’ Sabbioni area, the camp is easily accessible by train as well as bus, as there are stations nearby. If you wish to go to the city, a shuttle bus can take you to the very center, in 20 minutes, for a mere 1.50 euros. 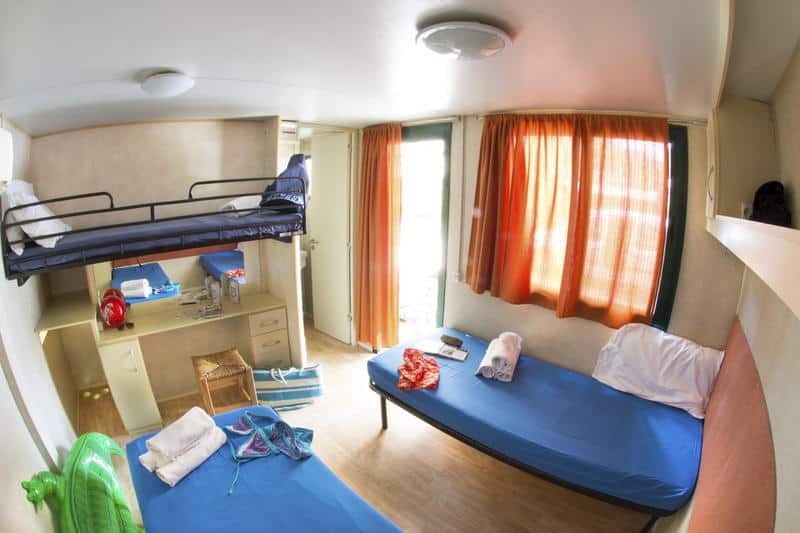 Serenissima offers great services such as 24h check-in, a public kitchen, washing machines, free wifi and electricity, a playground and table tennis, so there aren’t many things that a backpacker would lack in this fine facility. In case you’re looking for a cheap place in a traditional district of Venice then Dimora Il Veliero Romantico might be the spot for you. 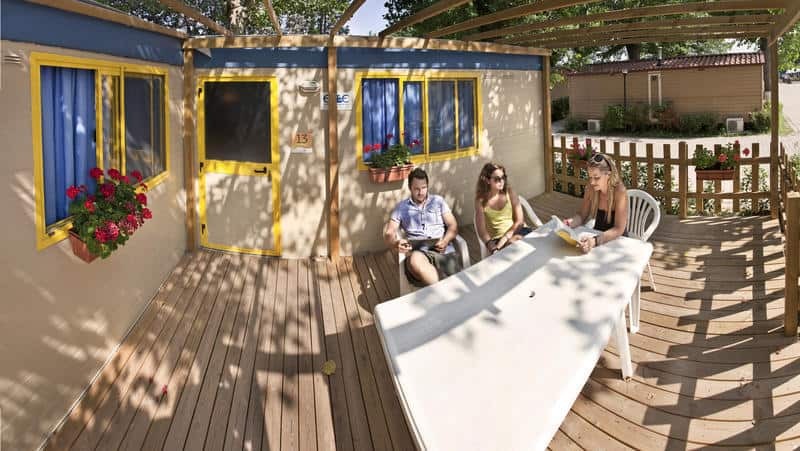 Located only 700 meters from the city centre, this hostel offers private rooms which start at 34 euros per night. The rooms are equipped with all the essentials, and each has a bathroom. Things like wi-fi, towels, sheets are all included in the price. A peculiar thing about staying in this hostel is that you’ll have to use about five different keys to get in, as there are many locks to keep your possessions extra safe. 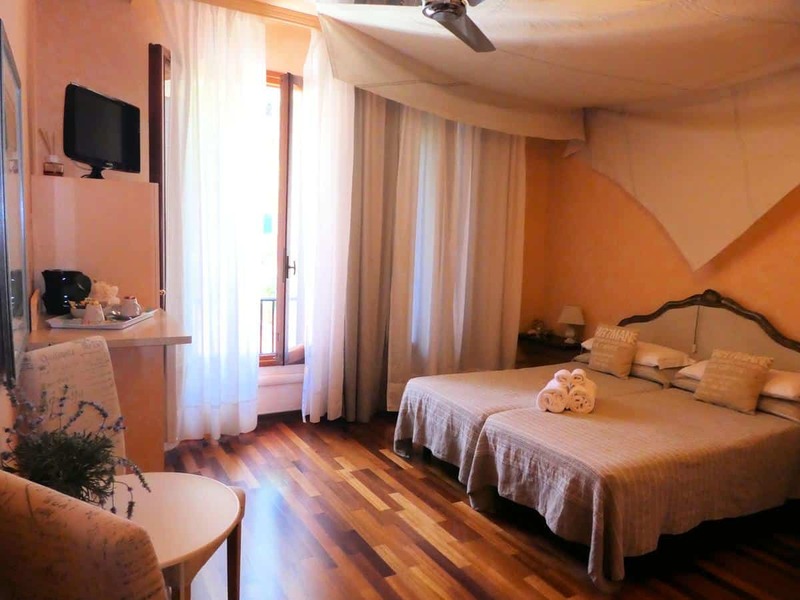 Dimora Il Veliero Romantico is clean, charming and it’s hard not to enjoy staying there. This is the third, and final campsite included in this list, and budget travelers will love this one. Accommodation prices start from 16 euros per person and go up with the level of luxury. Unlike our previous to camps, Rialto does not have its own shuttle bus but is still very well connected to the city with public transportation (10 minutes away from the center). 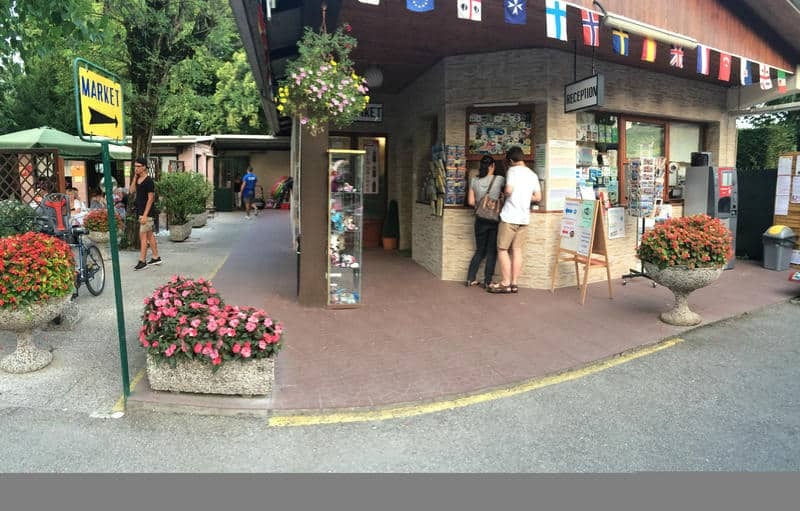 A bar/pizzeria can be found within the camp along with a small supermarket which has everything for a person’s basic needs. The entire site is very peaceful and is a good spot for a nice, unwinding vacation. One thing that travelers who stay in bungalows or tents need to know is that it gets cold during the night, and they should bring something to keep themselves warm. 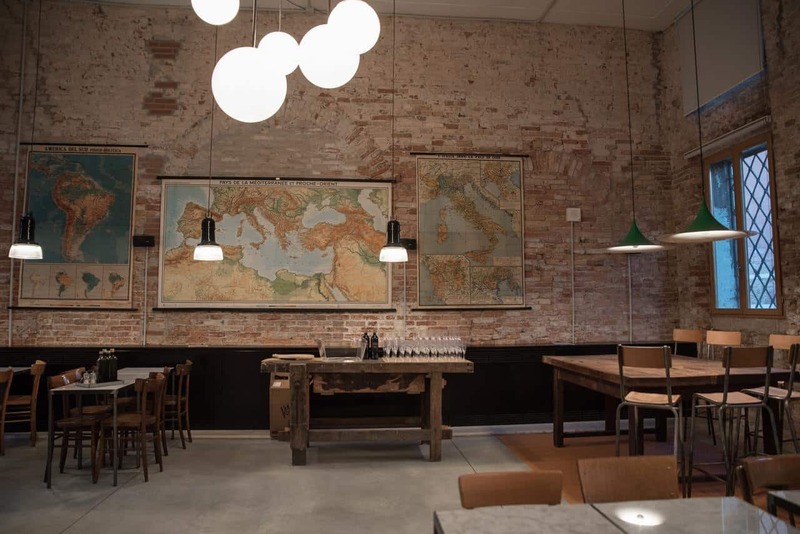 When it comes to accommodations for backpackers in Venice, know that this city has something for everyone’s taste (and pocket). 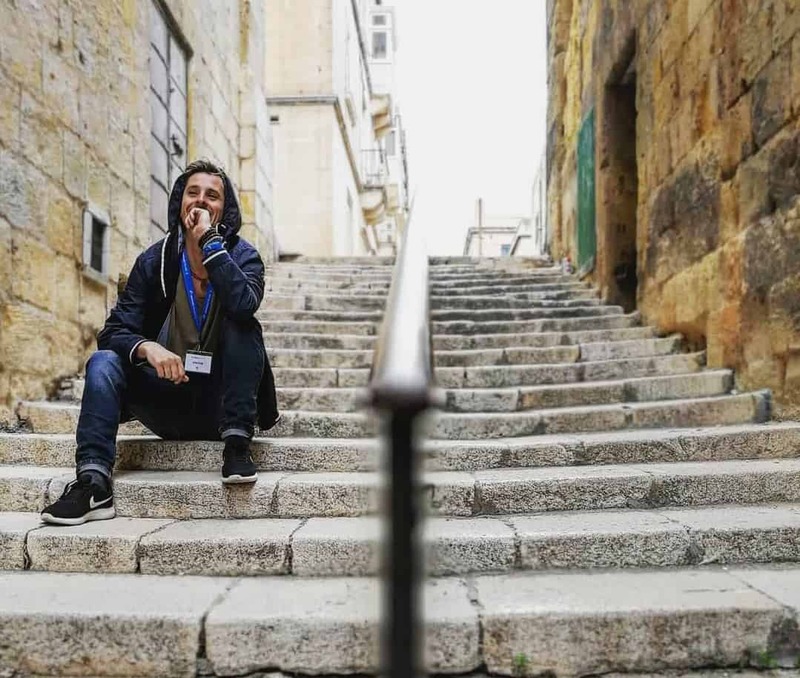 The best way to determine where you’re going to stay is according to your interests and needs, and I’m sure that you’ll be able to find something suitable from this list. Venice is pretty pricey, but it is well worth it, so I highly encourage you to visit it even if you happen to break the bank just a little bit. It will certainly be an experience of a lifetime. About Melanie: Melanie Campbell is an outdoor and camping professional who gives expert advice on camping and outdoor food. She runs a website called Ardent Footsteps, where you can find proven tips about how to make the most out of your camping adventure, from outdoor food to gear & equipment.